I was pretty sure last Tuesday’s curling matchup was not going to be a good one. By the fifth end, it was 7-2 for the opposition. Our skip figured we’d play the sixth end, and call it a game. But suddenly, there was a significant turnaround. We took three in the sixth, and stole four in the seventh. In the end, we won the game. Halfway through, that would not have been anything I’d have predicted; neither would anyone else on the team. But we held on, played our best, and won. 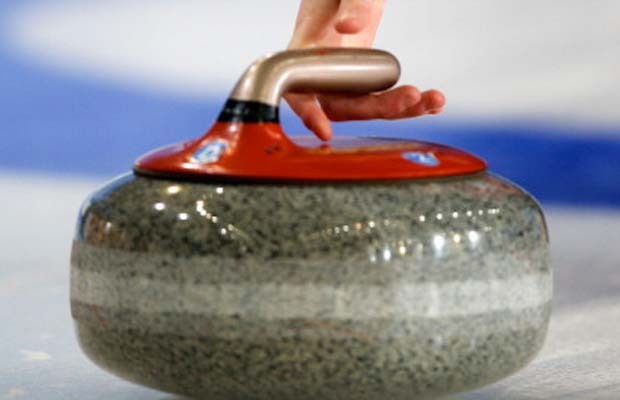 Forrest Gump famously said that life is like a box of chocolates, but I (much less famously) say that life can be like a curling game: you can’t predict the outcome based on what it’s like partway through. For example, I know people who genuinely feel that God would never accept them because of sins they’ve committed in their lives. I can try to convince them otherwise, but ultimately, it needs to be the Holy Spirit who does that. God must be the one who shows them the way of grace and truth, a way that may surprise them, a way that they may not have predicted would be possible. I know people who genuinely feel that they have no need of God, because they have it made; they’re living the dream. I can try to convince them otherwise, but ultimately, it needs to be the Holy Spirit who does that. God must be the one who shows them the way of salvation, a way that may surprise them, a way that they may not have predicted would be necessary. And for followers of Christ, when we come to that place in life where all we really want is for God to do his work in and through us, that’s when the adventure really begins. We might get halfway through life and wonder what more could possibly go wrong – but the outcome will most assuredly be different. The trick is to hold on tight to the Lord and let him lead. It’s not ours to predict what it will be like; it’s ours to follow in obedience. We may not be able to predict what the final outcome will be like, but we do know that God will be with us, and that is enough for victory. “But thanks be to God who gives us the victory through our Lord Jesus Christ” (1 Corinthians 15.57, NRSV). I’ve been a recreational curler for about 16 years. While I don’t think I’d be God’s gift to any team going to the Brier, I think my skills have improved a bit over the years. It took me a long time to be able to deliver a stone in a satisfactory (to me) manner, but most of the time, I find I can now hit my groove and probably get a better “do what the skip asks for” average than many million-dollar baseball players can do in their game. 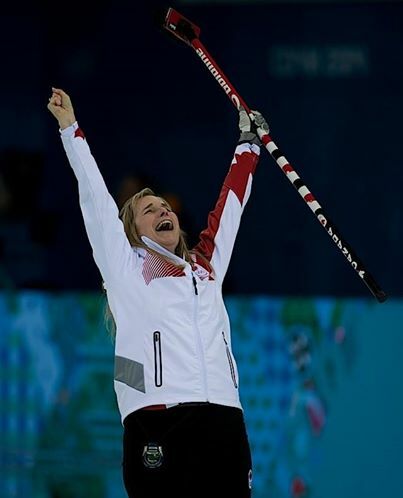 I’d call myself a pretty confident, though humble, curler. What’s more, I hadn’t fallen on the ice in a long time. The coin had been tossed and our team got choice of colour (translation: we lost the toss). The lead went to throw his first stone, and I followed it diligently down the sheet. All of a sudden, about eight feet from the far hog line, I found myself flat out on the ice. It took less than a second for gravity to do its number on my whole body. Thankfully, I didn’t hit my head, and I got up right away. But the first thing I noticed was that my left knee didn’t feel exactly right. I continued sweeping, and thought everything was okay. Then, when it was my turn to throw, I crouched down in the hack, and my left knee rather forcefully intimated that this was not a good idea. I tried to ignore it. I kicked out of the hack and found myself leaning on the rock. (You’re not supposed to lean on the rock, especially when your gravitational pull is as, ahem, significant as mine.) Writhing in pain, I tossed the rock out of my hand and stood up as quickly as I could. I felt fine. I tried again with my second stone. Same result. 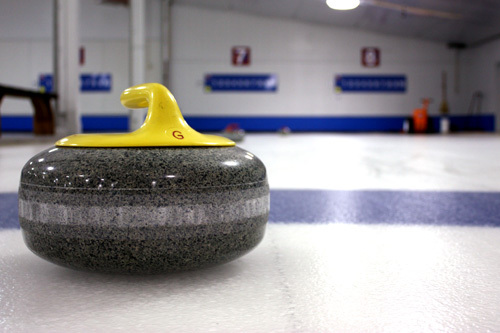 Last Tuesday, I learned how to be a “stick curler” – I used my brush to throw the stone so I didn’t have to crouch down. Who knew there was a learning curve to ice-bound shuffleboard?! While my injury may not have been the only contributing factor, we lost the game…the first game I’ve lost all season. Oddly, I had just said to my wife, before I left for the rink, that I had not been on a team that lost a game yet this year. Some people would say that was “karma” at work, that I shouldn’t have “jinxed” my game by making such a comment. But I didn’t say it with great hubris – at least, I don’t think I did; it was just a remark on the stats. I’d like to think this was mere coincidence; I certainly don’t believe that God caused my collision with the ice, nor the resulting injury! Nevertheless, as I picked myself up off the ice and realized my (minor) injury, I found myself quoting Proverbs 16.18: “Pride goes before destruction, and haughtiness before a fall” (NLT).